Stuttgart - Some of the finest young talent in the Bundesliga will be on show when VfB Stuttgart host Borussia Mönchengladbach in Matchday 13's opening fixture on Friday night (kick-off 20:30 CET). and have both inspired the Swabians to a rise up the standings since Thomas Schneider took charge in October, while Lucien Favre has a lot to thank and Christoph Kramer for that his side are currently fourth in the standings. Maxim may have been a disappointed loser with Romania in a World Cup qualifying play-off against Greece over the past week, but his interplay with one club-mate who will be appearing in Brazil next summer has had Stuttgart fans in raptures. has reaped the benefits of the 23-year-old Romanian's creativity, with half of his eight goals coming from his partner in crime. And if that duo fail to fire on all cylinders, Werner showed that he can be relied upon to step up, even at the age of 17. 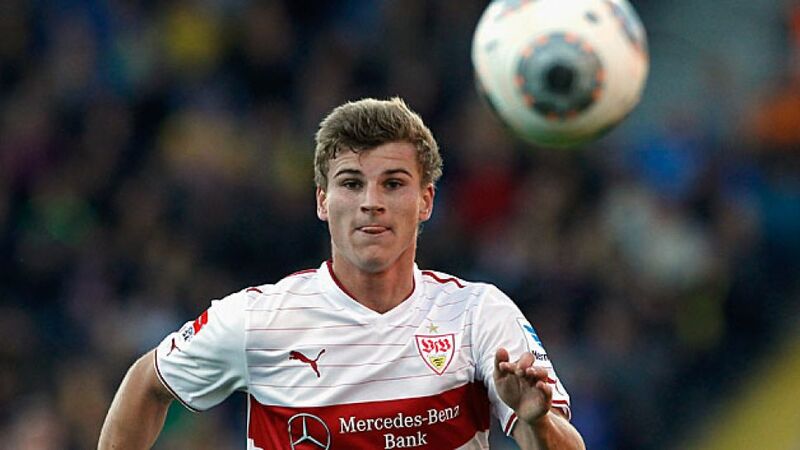 The forward became the youngest ever player – the first under 18 – to bag a Bundesliga brace as Stuttgart returned to winning ways with derby victory at SC Freiburg a fortnight ago. Add to that the emergence of summer signing Marco Rojas, 22, who is now ready to make his club debut after appearing for New Zealand in two international matches this week, and the future is certainly looking bright in Stuttgart. As indeed it is in Gladbach. Borussia's revival has been accompanied by that of Xhaka, the Swiss holding midfielder having been crucial in the Foals rising to fourth in the standings. Following a low-key debut Bundesliga campaign, the 21-year-old admitted it had taken him a while acclimatising to Germany's top flight, as well compatriot coach Lucien Favre's expectations. "At first I didn't realise he set such great value upon the details," Xhaka told kicker Magazine. "I managed to come back, however, and that's what counts." Patrick Herrmann is also still only 22, and already on the fringes of the Germany national team, while his goal against 1. FC Nürnberg, his third of the season, suggested he has found top gear once again. That comes just in time for a tricky trip to the Mercedes-Benz-Arena, where an attack-minded team are likely to go for the jugular once more. "I always use the same tactics, whether we're at home or away," said coach Lucien Favre. "I don't fear any opponents." Nevertheless, the Swiss tactician acknowledged Stuttgart are going to be a tough nut to crack: "They've got a very good squad with many internationals on the field and also on the bench. They didn't start the season well, but they've picked up good results since. We were unlucky to lose there last year, 2-1 through an own goal, but we want to do better this time." Stuttgart would be a happy with a repeat of that result, which would take them to within three points of their guests and to just a point behind the top six, ahead of the rest of the weekend's games. A second consecutive away win for the Foals, on the other hand, would put the ball in Bayer 04 Leverkusen and Borussia Dortmund's court, reducing the arrears on second place to just three points.